One comes to bless the absolute bareness, feeling that here is a pure beauty of form, a kind of ultimate harmony. 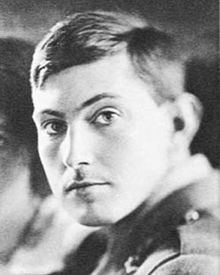 George Mallory (18 June 1886 – 8 June/9 June 1924) was a Himalayan mountain climber who famously perished on Mount Everest in 1924. "Why did you want to climb Mount Everest?" This question was asked of George Leigh Mallory, who was with both expeditions toward the summit of the world’s highest mountain, in 1921 and 1922, and who is now in New York. He plans to go again in 1924, and he gave as the reason for persisting in these repeated attempts to reach the top, "Because it's there." I look back on tremendous efforts & exhaustion & dismal looking out of a tent door on to a dismal world of snow and vanishing hopes - & yet, & yet, & yet there have been a good many things to set the other side. Why do we travel to remote locations? To prove our adventurous spirit or to tell stories about incredible things? We do it to be alone amongst friends and to find ourselves in a land without man. This page was last edited on 20 April 2018, at 23:10.